But it is because of this ubiquity that it is easy to forget its roots, and to separate it from the world’s other agricultural products currently in crisis due to climate change. Unfortunately, climate change is threatening coffee crops in almost every major coffee-producing country in the the world. In fact, some scientists predict that by 2050, only 25-50% of the coffee belt will be suitable for growing coffee crops. This means more than just a pricier morning routine for the daily coffee drinker (though that is true). Currently, there are about 125 million people worldwide who depend on coffee for their livelihood. 25 million of which are small holder farms in vulnerable communities who produce 80% of the world’s coffee. If the current 2050 projection is accurate, the effects on our industry will be devastating. These growing environmental concerns signal an economic nightmare in the future. In order to sustain themselves, those who are still able to produce coffee will be forced to charge exponentially higher prices than the commodity market prices we are used to – and that is for coffee without certifications like Fair Trade and Organic. Not only would we have significantly less coffee for significantly higher prices, but the quality of what is available will be remarkably lower than what we, as specialty coffee drinkers, are used to. 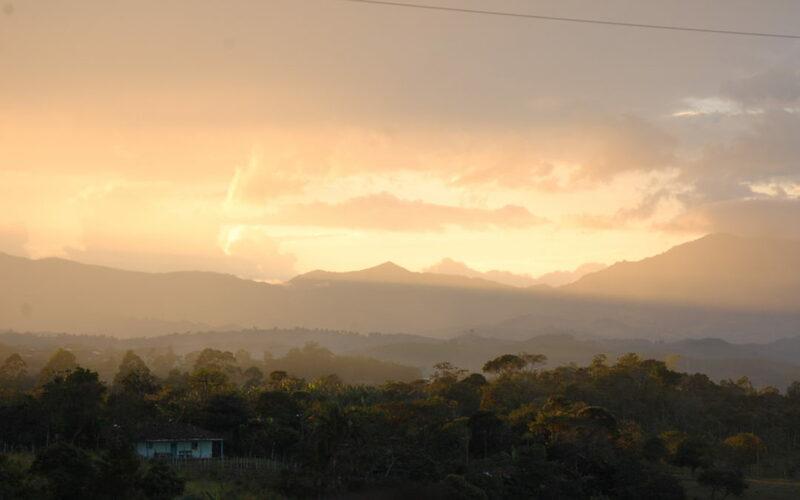 Hearty and resilient robusta may or may not weather the storm, but the crops that are in the most trouble are arabica coffees grown at high elevations. 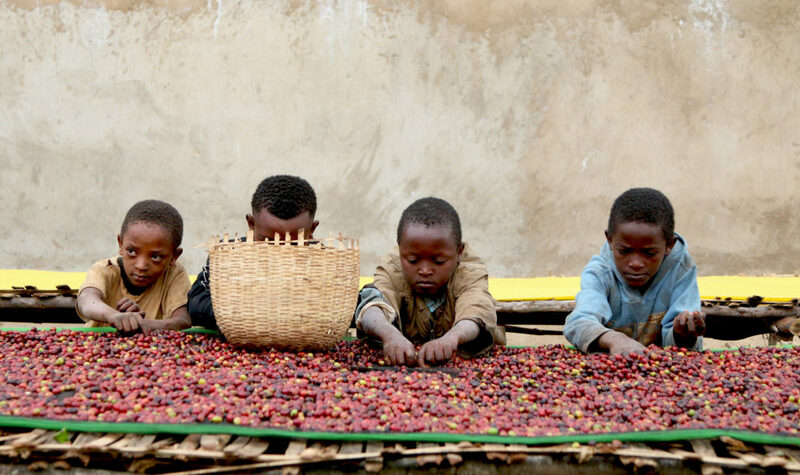 In fact – a study published just last year by Nature Plants journal estimates that 60% of Ethiopia’s coffee agriculture will be impossible by year 2100. At this rate, the exotic fruity, floral, and tea-like tasting notes we’ve all come to know and love will become a thing of the past. Don’t believe it could happen? Puerto Rico provides a grim case study for what climate change has in store (unless things change). Coffee made its way to the island in the late 18th century and by the mid-19th century, PR was the 7th largest producer of coffee in the world. But in 1899, they lost everything when Hurricane San Ciriaco decimated their crops. 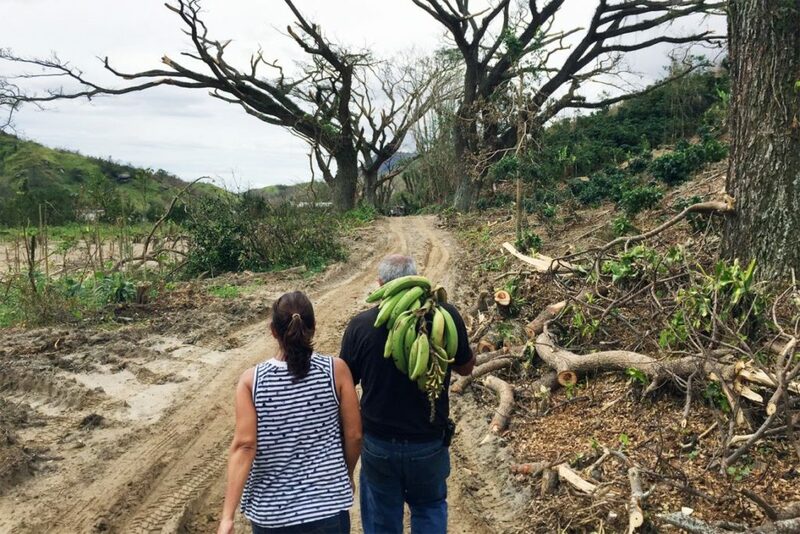 With steadily raising temperatures and unpredictable and increasing rainfall patterns (plus super storms like 2017’s Hurricane Maria), Puerto Rico’s usable coffee growing land has been on the decline ever since. Under current climate change projections, the island will have lost two thirds of their coffee growing land by the year 2040. We’ve already begun to see a decrease in yield stemming from climate change, like unseasonal rainfall, coffee rust, and the coffee berry borer. As coffee culture grows and enters its fourth wave, the demand for coffee also grows at a rapid rate, and with it, the situation becomes more dire. All hope is not lost! There is still time to save our favorite beverage if we act now. Most climate models factor in the rate at which humanity will curb its greenhouse gas emissions – which is still a very open ended question. On top of your normal carbon emission reducing efforts (reusing and recycling, driving less, reducing animal product consumption,using energy efficient products, etc.) there are a few agriculture-specific efforts you can make which will help paint a brighter future for the coffee industry. Many of the large farms, supported by large, commercial roasters, contribute to deforestation and habitat-loss. This is because those farms focus on producing the highest quantities of coffee possible, which means the lands are cleared for coffee plants only, further stressing the surrounding ecosystem and incentivising deforestation. 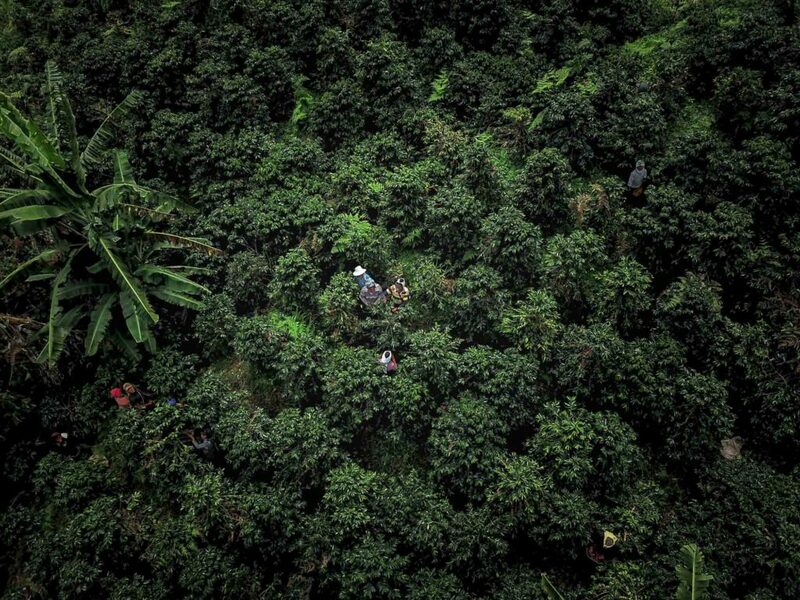 Coffee grown without the protective canopy of the other trees are eliminating the homes of many different varieties of birds, plants, and other animals that thrive in its lush growth. Without these natural deterrents, the plants are more susceptible to pests and disease. In fact, researchers in Jamaica found a 70% increase in the infestation of coffee fruits with the Coffee Berry Borer when trees were removed and birds were excluded from the environment. What does this mean? More pesticides, soil erosion, nitrates, and higher carbon emissions. Most small roasters focus specifically on micro-lots and small holder farms, who have a much smaller carbon footprint than larger farms. These small lots grow coffee in the natural environment of their land, typically with a variety of fruit trees and other plants so they are able to sustain themselves until harvest season. Coffee grown under the shade of trees is not only better for the environment, it typically tastes better! We call that a win-win. If you aren’t sure if your local roaster buys from small farms, pay attention to how often the coffee rotates. Coffee is a seasonal product with each origin having their own harvest season. If you have access to the same coffee all the time, despite seasonality, it is most likely not from a small farm. Not surprisingly, coffee, bees, and the climate have a lot in common. In fact, pollinators like bees are responsible for 20-25% of coffee production, and they increase the quality of the coffee by making the beans more uniform in shape and size. We already know that the amount of land suitable for coffee growing is shrinking. As temperatures rise, bees who are already at the edge of their heat tolerance will no longer fly to these warming areas. As coffee growing land shrinks, farmers will be forced to sun-grow their crops in order to create as much yield as possible, only increasing the need for pesticides – poison to whatever bees are left. This only exacerbates the problem. First and foremost, educate yourself about bees. Bees are not dangerous; they forage on flowers and don’t attack humans. By better understanding them we will learn to better respect them. Avoid using pesticides, herbicides, and fungicides in your garden. Buy local and raw honey from local beekeepers so you can check in with them on their sustainable beekeeping practices. Hold off on weeding your garden – weeds like dandelions are often the only food source for beneficial insects. 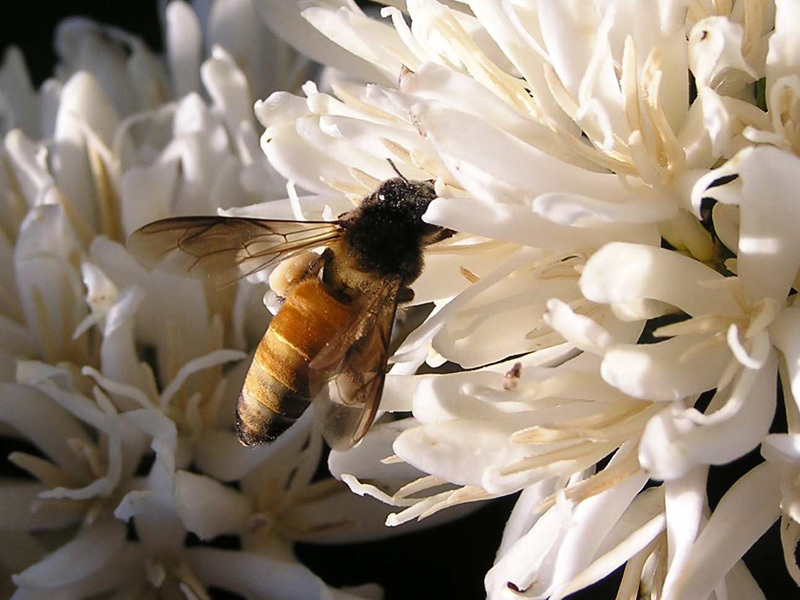 Plant your garden with native and bee-friendly plants. Here in central Florida, that means plants like chaste trees, basil, mint, thyme, rosemary, blanket flowers, honeysuckle, marigolds, milkweed, and sunflowers. Here is a great guide to planting bee-friendly gardens. Of course, the easiest way you can help is to educate yourself and others on the current climate crisis. The more people are educated and make changes to their lifestyle, the better off the coffee industry will be. Even the smallest changes to your lifestyle can have big impacts on the future of coffee. Consider making charitable donations to organizations who are dedicated to saving vulnerable ecosystems, and who allocate the majority of their donations to support conservation programs. These organizations are working hard to ensure that our planet’s rainforests – and thus, our planet’s coffee – will last for future generations. In observance of Earth Day 2018, from now through April 22, 20% of all our online sales will be donated to the Rainforest Alliance – an international nonprofit dedicated to supporting biodiversity and fighting climate change while building sustainable livelihoods for producers in vulnerable communities. 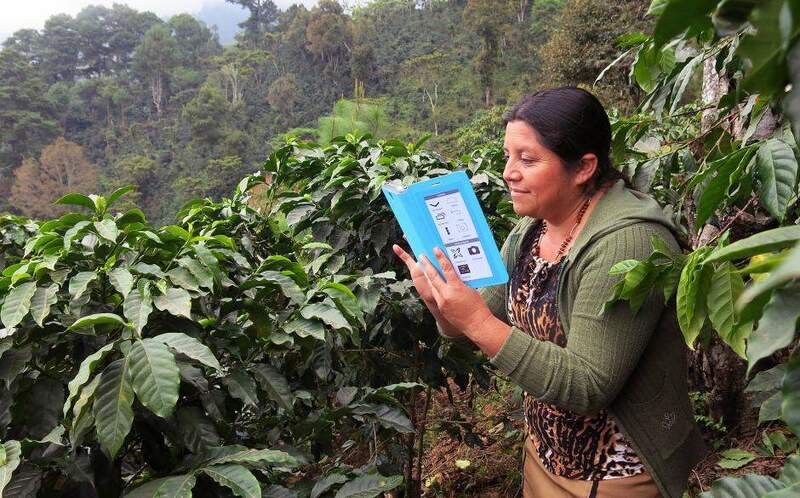 Together, we know we can create a better future for coffee. Learn more about the Rainforest Alliance here.